It’s so pretty, have you taken the photo yet? No, no you haven’t. It’s funny living in such a lovely city, that one of the aspects I value most about it is taking a step back. I was in London this past weekend, amongst other adventures talking over the second draft of my novel, and it struck me how important that possibility of taking a step back is in so many things. Having sent my precious first draft out to others it is so much easier to see those pieces that are wrong, and more importantly those that I still love, when having had that time apart. 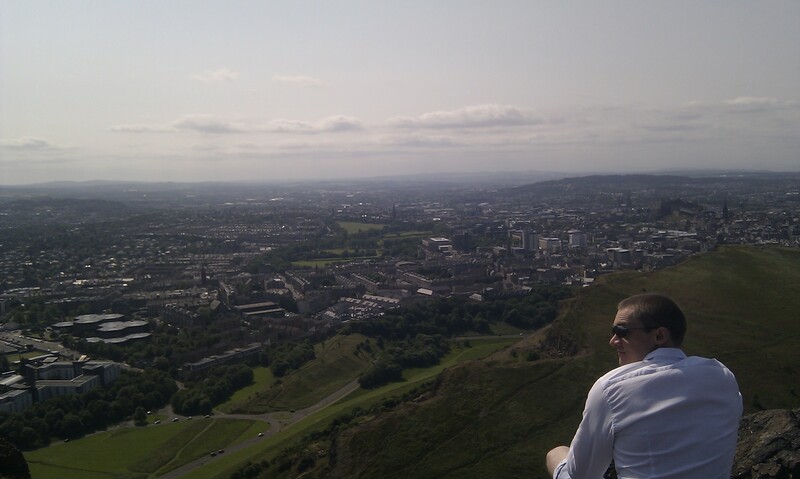 Edinburgh can be like this too. 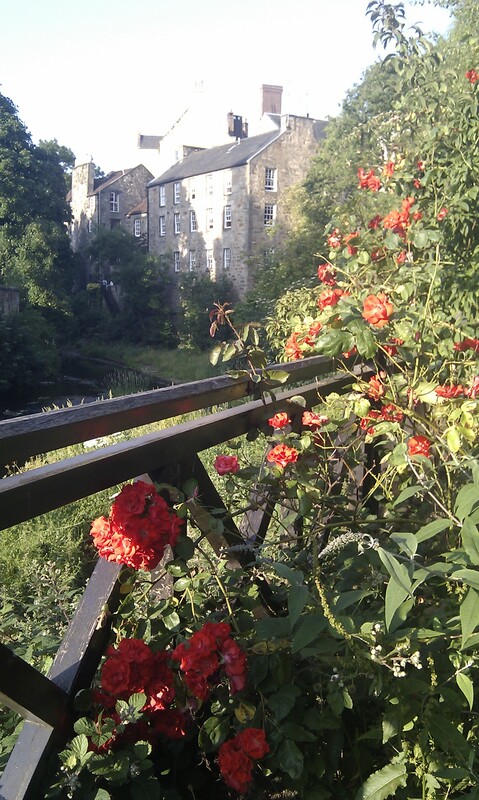 A stroll by the water at Dean Village. I love to wander down the Water of Leith, to walk past the quaint charm of Dean Village and by a leafy river that offers me that step back. You can walk out to Balerno and the entrance to the Pentlands or simply stroll towards the cupcakes I so covet that take residence each Sunday at the Stockbridge market. Through it all it’s like you’ve left the city behind to take a break somewhere else, a river in the country that just so happens to have some stunning buildings crowding on the other side of the tree-line. You know they are there, but somehow the pressure of their presence is absent. Likewise the Union Canal offers its own brand of escape, out along by the water to the not so distant countryside. Both are so easy, so readily offered, so useful to take that step back. One can stroll, gasp, wheeze and curse your way up Arthur’s Seat as the sun doesn’t beat down and the wind lifts you up and tries to throw you back. Curse that lack of sun. One can walk up it indeed on a rare sunny day, complaining about the heat. Curse that sun (we’re quite a conflicted country at times). And when you reach the top the city is there before you, beyond you, and you beyond it. It’s a beautiful sight to look out over, but it’s also a beautiful thing to be able to remove yourself from it, and to do so so easily. It’s a pleasure as well, of course, to find yourself so swiftly in the vicinity of a pint upon your return back down. Having spent several hours panting my way around Kew Gardens in London, suffering from the 31c heat, it made me appreciate more that possibility afforded by Edinburgh’s beauty. It lacks the sprawl, which while entirely beautiful in its own right, challenges the possibility of that step back. 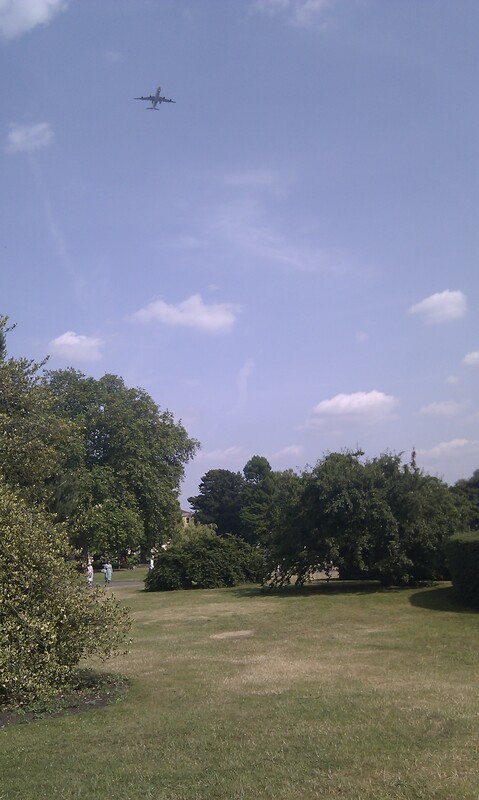 As the planes fly loudly over the gardens at Kew it drags you back to the city with each roar, but the only roar at the top of the Seat is the wind, asking you if you’re sure this is a good idea. So as I sit down to write a second draft of my novel, stopping occasionally to be entirely distracted by writing blog posts and justifying it to myself with “writing is writing,” I appreciate that step back. The time apart gives you fresh eyes to see. Edinburgh provides its own little slice of time apart when you want it to, be it leafy river, a canal where cyclists and joggers battle sweatily for control or simply a hill that reaches up to let you look over the rest. I like to take that time apart, because it helps me appreciate all those bits I love when I come back. ‹ That look, and public speaking.